It is only May but temperatures are already skyrocketing in the Southwest. The highest temperature in the nation Sunday was in Thermal, California, where it reached a daily record of 110 degrees. Phoenix hit a record high of 106 Sunday, breaking the record from 1947. Tucson, Arizona, hit their first 100-degree reading for the year, too. 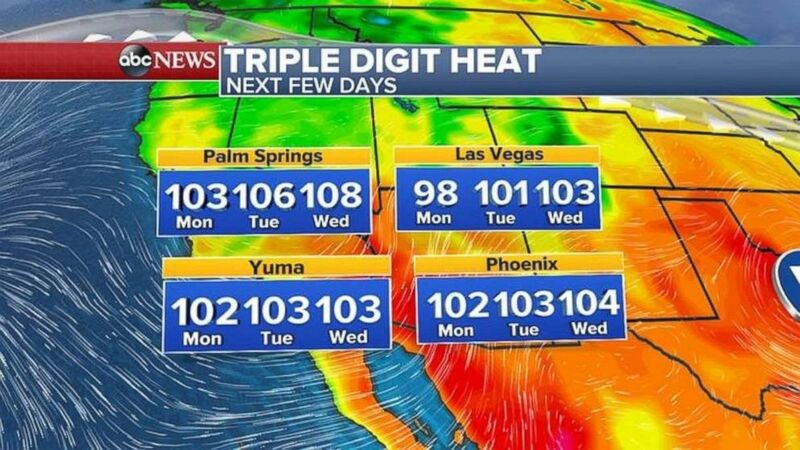 More heat is on the way, with Las Vegas possibly hitting its first triple-digit reading of the year this week. Temperatures will be well over 100 degrees across much of the Southwest this week. A strong jet stream will bring a series of storms from the Pacific Northwest to the Mississippi Valley through this week. Some strong to severe storms are expected today in the Dakotas with damaging winds and some hail. We can't rule out a tornadoes.htm" id="ramplink_tornado_" target="_blank">tornado or two. The highest threat for severe weather will be in Wednesday for St. Louis and parts of Illinois and Missouri. Damaging winds and hail will be the biggest threat, but tornadoes are possible there as well. 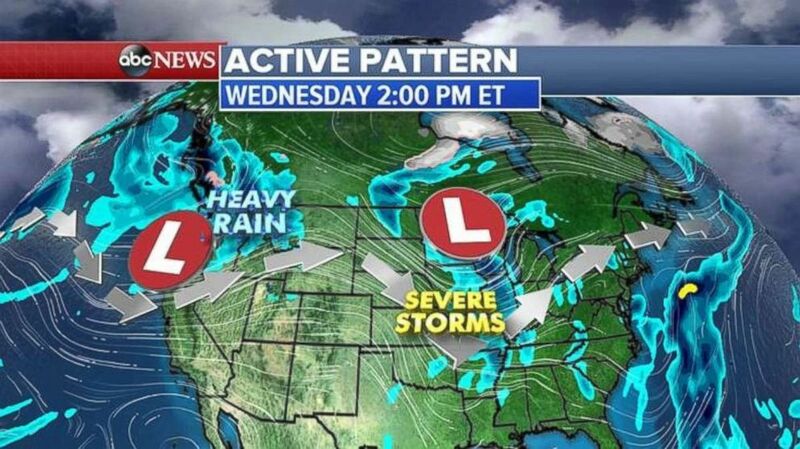 Two storms will being rain to the Northern Plains and Pacific Northwest later this week. Yet another storm will move out of the Pacific Northwest and into the Midwest by the end of the week bringing heavy rain there. Widespread rainfall totals from 2 to 3 inches are expected, with some areas seeing up to 4 inches of rain through this week. With rivers running high in the upper Midwest from earlier snow melt, some flooding is possible. 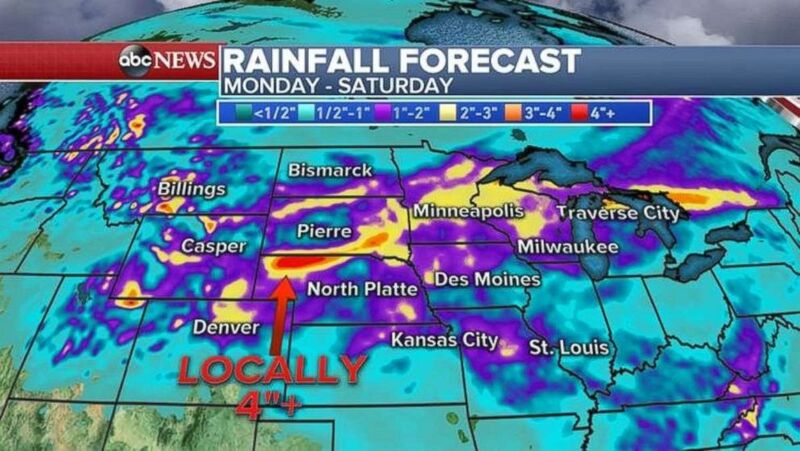 Rainfall in the Northern Plains will be heaviest in northern Nebraska.